Last week we began our exploration into littleBits. We are hoping to use these fun tools to help us learn more about STEAM (Science, Technology, Engineering, Art and Math). Stay tuned for more, but for now here is what we did on day 1. This term students participated in activities designed to develop the Core Competencies of Communication, Creative Thinking, Critical Thinking, as well as Personal Awareness and Responsibility. Students have been using electronic circuits called littleBits to create innovative designs. 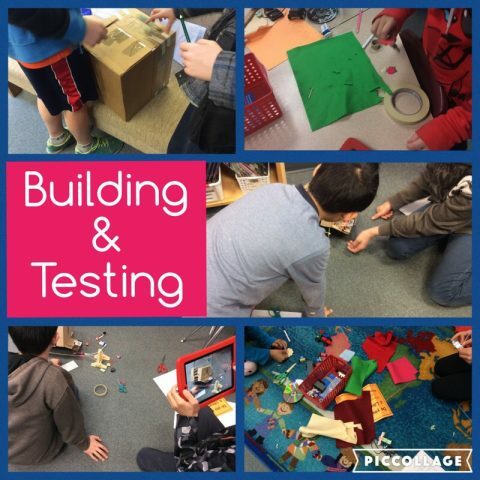 In teams of 3 students were challenged to “create something magnificent” using littleBits, a cardboard box and a variety of other materials. 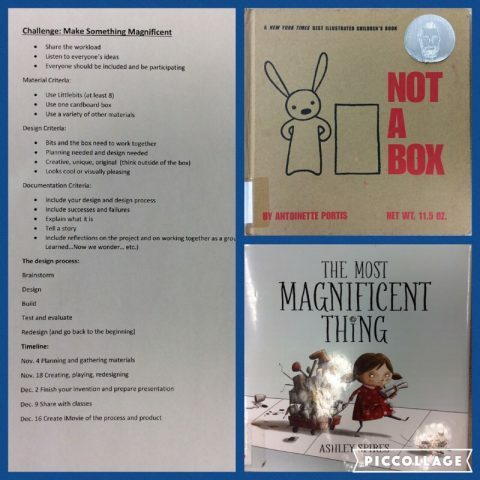 We read a couple of books to help us get inspired to think “outside the box” and to persevere when we felt frustrated. We then created our criteria for the project. 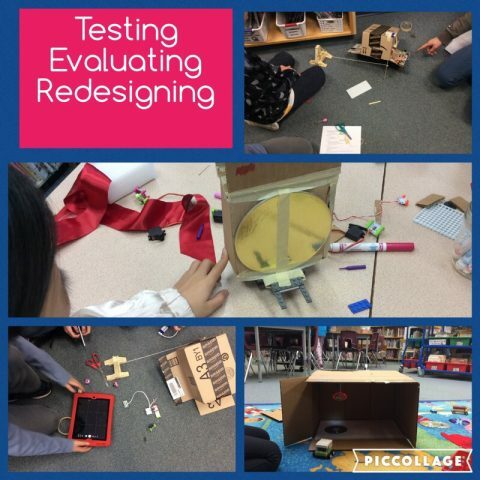 Students learned and practised using the design process: brainstorm, design, build, test and evaluate, redesign. As part of the project criteria, students were encouraged to document this process using iPads. Once their project is complete, students will be invited to present it to their classes. Finally, students will use their documentation to create an iMovie that tells the story of their project and includes reflections on their experiences, both successes and failures. 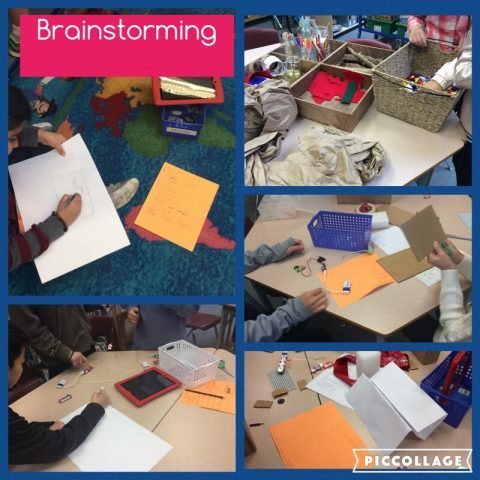 During the design process, students were asked to document their learning. Please watch the videos below to see what students learned.